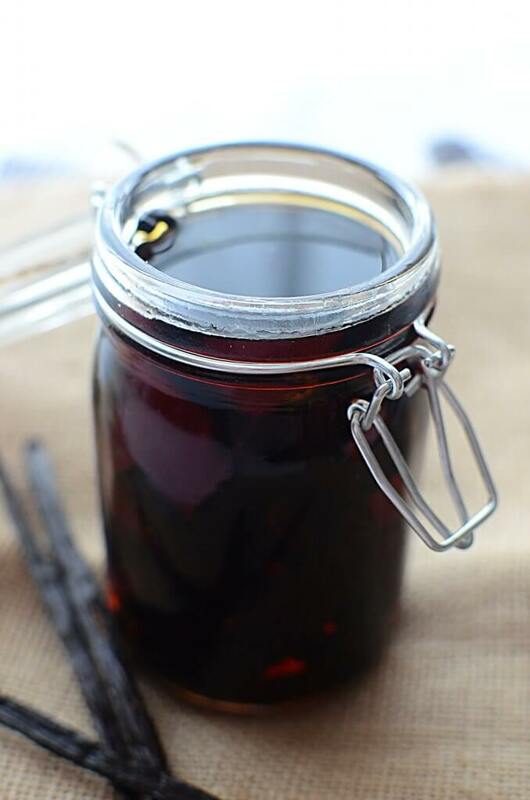 Making your own homemade vanilla extract can’t be any easier!! I was suprised when doing my research – just how easy this whole process is! It inspired this chick to go further into extracts and make a few (or.. ahem.. a lot) more herself, but we’ll get into those on a later post! So you know that I’m always all about the homemade or DIY category of things. If you can make it yourself, I’m down! I’ll try it and if it’s relatively easy, relatively low cost and turns out just as good as a commercial version, then that’s what I stick to. 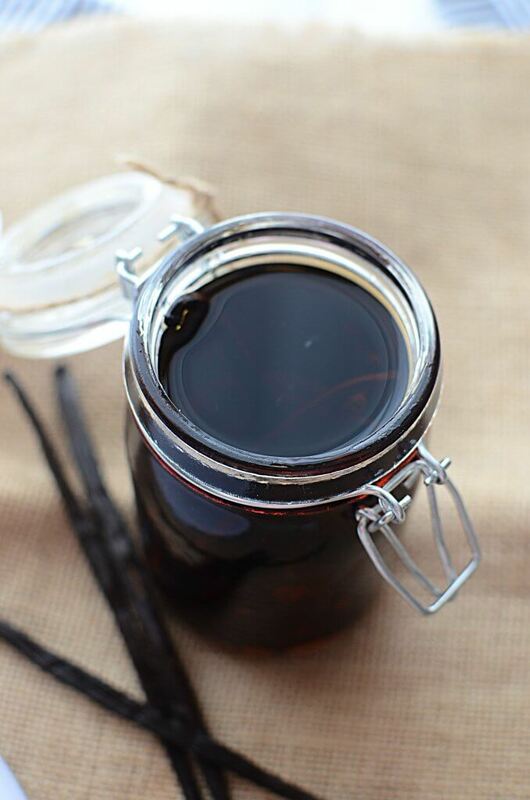 This homemade vanilla extract is no different! Take a quick moment and read the article I linked above. It’s really interesting and gives you insight into how one seemingly simple ingredient can be so …. complicated, for a lack of better word. The humble vanilla bean can influence not only your final product in baking/cooking, but the impact it has one people’s lives is amazing! Yes, there’s artificial vanilla flavoring that’s cheaper than cheap to use, and in a pinch it will do. 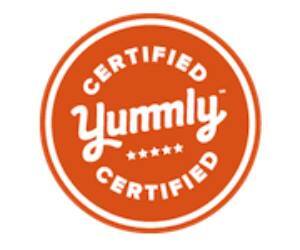 But the flavor produced from REAL vanilla extract is simply amazing. Seeing those tiny seeds inside the bean are little flavor bombs – each and every one of them! Ever had vanilla ice cream made with just extract verses vanilla beans? HUGE difference! And you’re baking would be influenced exactly the same way. Ok.. so let’s get on with it. 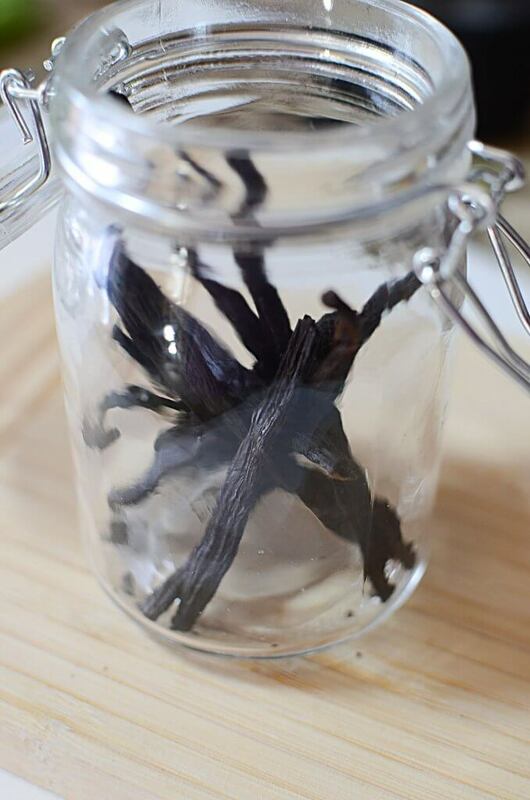 How to make your own homemade vanilla extract! As I said before, it’s crazy simple. So begin with measuring the pods to your container. The pods should be long enough to go the distance of your container, but not so high that it will need to be squished in the jar. If worse comes to worst, you can simply cut the beans in half. A good idea is to run your sharp knife down the length of the bean, just to open it up a bit more to allow the vodka to permeate the bean and infuse more flavor. By the way, you can use any alcohol you prefer. I used vodka here because I’ll be using the extract in many different applications and vodka is the least likely to add any extra flavor to the extract. However, if you prefer, you can use bourbon (a whiskey), or any sort of rum (regular or even spiced) you prefer as well. There IS a method to make your own homemade vanilla extract not using an alcohol base, but I haven’t tried that yet, so we won’t discuss it here today. 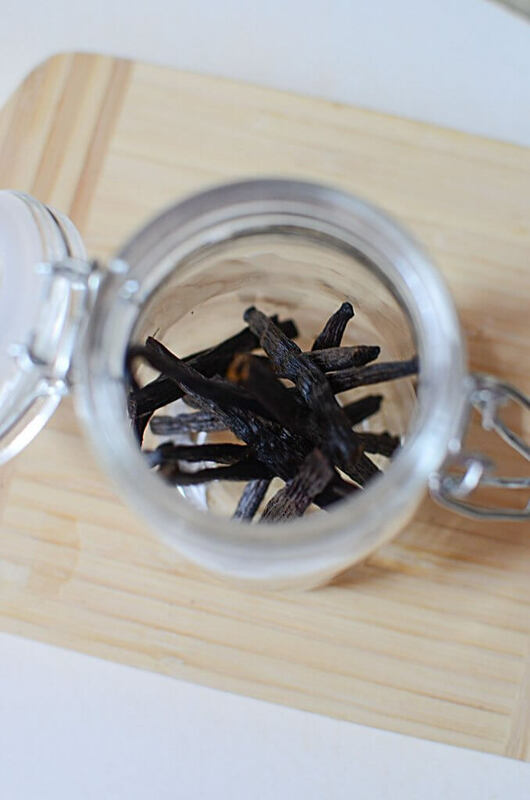 Place all your vanilla beans into the container you’ve chosen. Be sure it’s clean – but no need to sterilize it. Pour the vodka (or any alcohol you’re using) over the beans to the top, covering the beans as well as possible. Close the airtight lid, and give it a good shake. Now, of course, you can’t use this extract right away unless you want to only taste alcohol in your final product. You need to let time take over. The extract that you see here has been steeping 1 month. It’s usable now, but honestly, the longer you leave it the better. You’re other option is just to leave the beans in the container of vodka, keep topping up the alcohol as you need, and add the odd bean or two to the container to keep the process going. 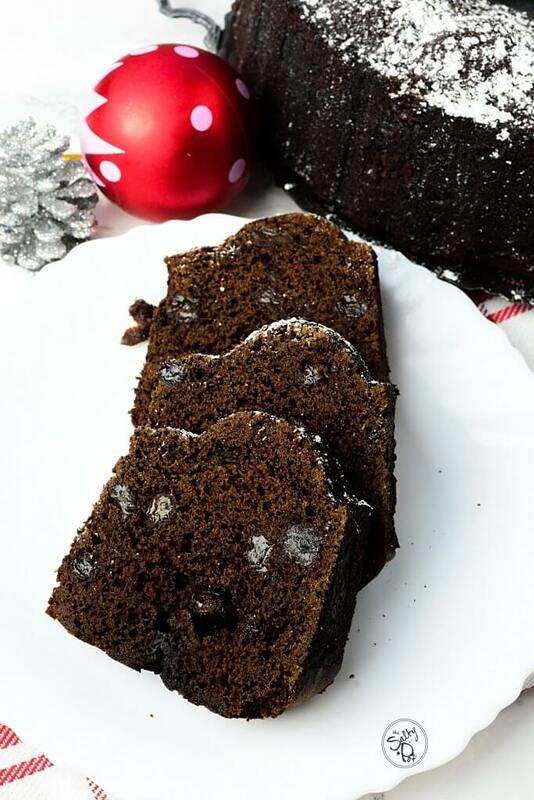 So homemade vanilla extract is PERFECT for gift giving!! Find some adorable glass (no plastic please!) jars and make some extracts for your friends who love to cook and bake. They would LOVE the idea of having their own extracts made by you! Just remember – it will take a month or so to be useable, so you may want to start your gifts ahead of time, or you can simply add a cute label giving them instructions on when they can use it! 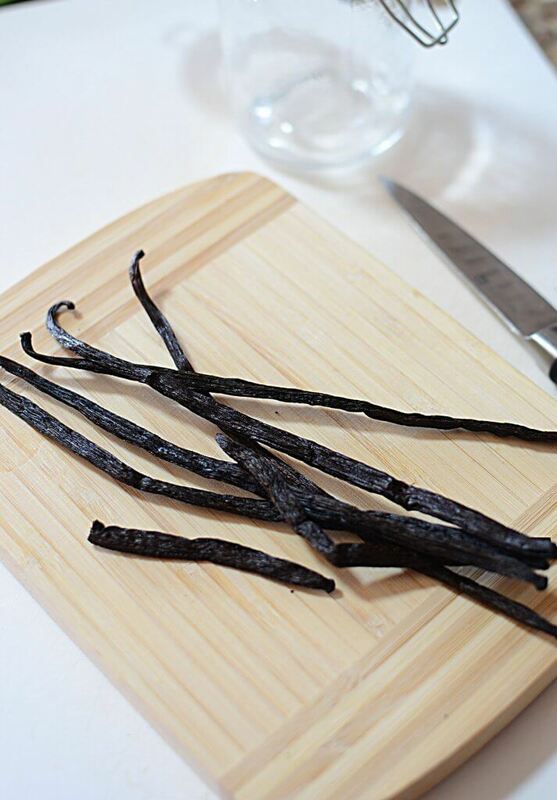 What can you make with your own homemade vanilla extract? 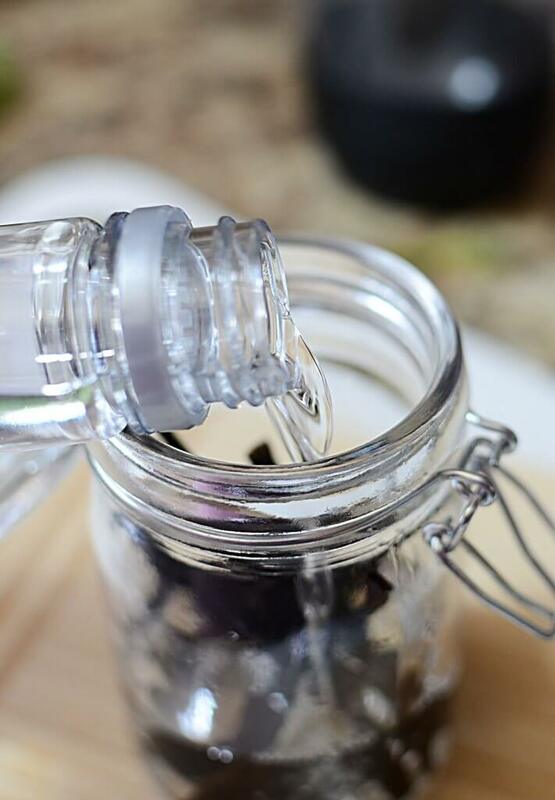 So I hope you find this post on how to make your very own homemade vanilla extract easy and enjoyable! Keep watch because I have a whole bunch of other extracts currently brewing that I’ll bring to you soon! 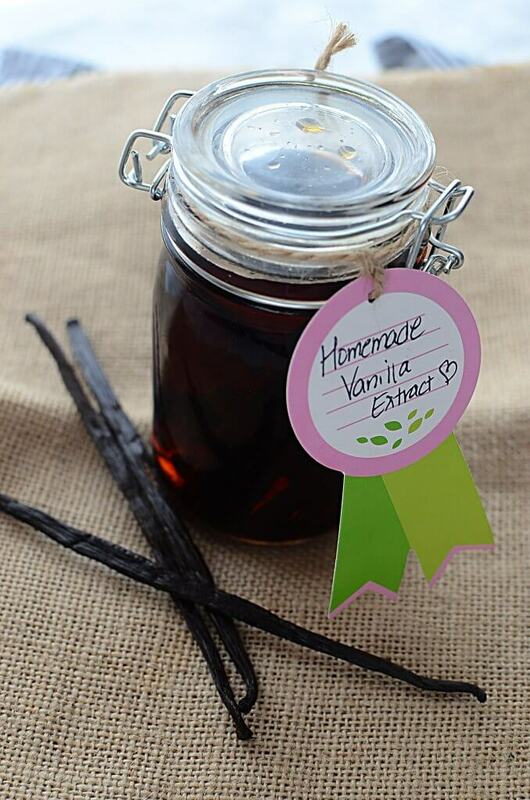 If you make your own vanilla extract, please let me know in the comments what you think of it, and how it turned out!! Thanks for stopping by The Salty Pot today! 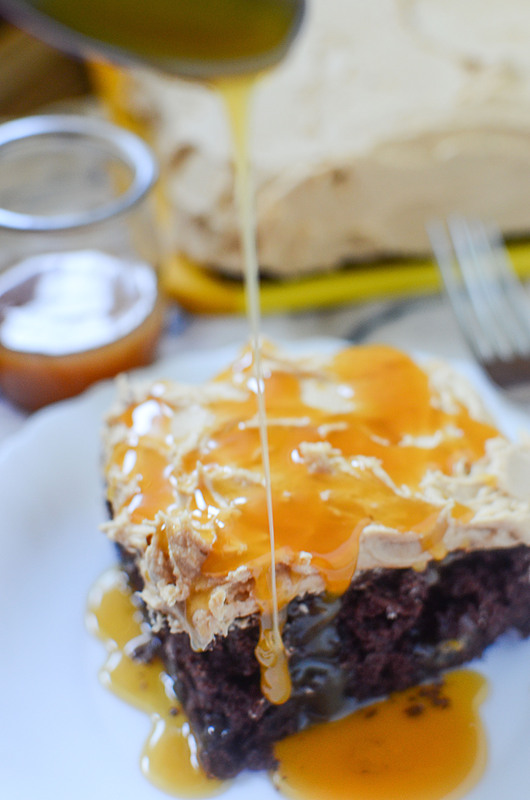 Never buy vanilla extract again! 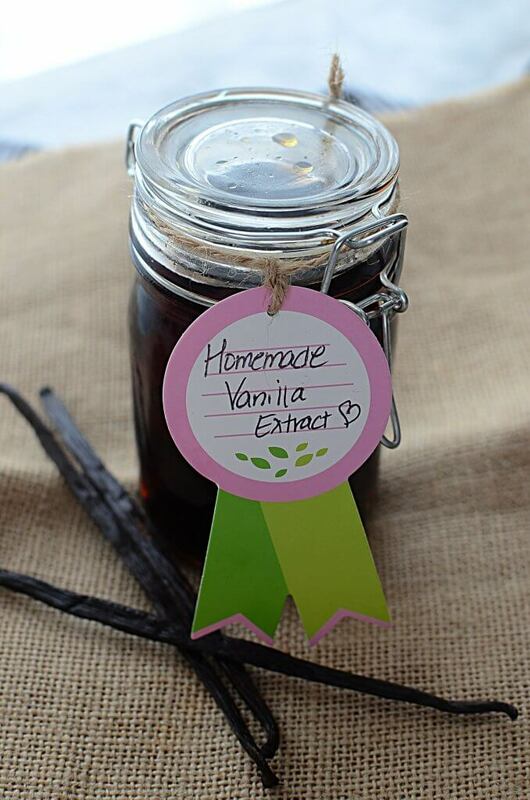 Make your very own Homemade Vanilla Extract yourself to include in all your favorite desserts and baking. Save that cash! Leave for AT LEAST 30 days. The longer the better. Every day for the first week, give the jar a shake. After that, you can leave it to infuse. The vanilla will be ready to use in 30 days. Feel free to add more vanilla beans over time to keep the strength of the extract up. Take some of the spent beans, open then up with a sharp knife and place them in some brown or white sugar to flavor the sugar. Homemade vanilla extract is so much better! I’ll be making this soon. Thank you Jasmine! I agree, sooo much better! Let me know what you think of it when you make it! Thanks for commenting! Do you keep refrigerated or in cabinet? I keep it right in the cabinet. In a dark, room temp place is perfect for it! Thanks for asking!